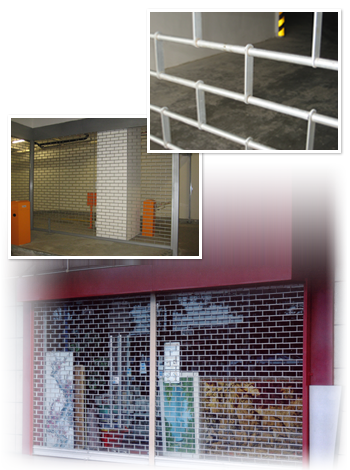 Hightex® Dynamic Grille shutters are designed to provide security to commercial areas. 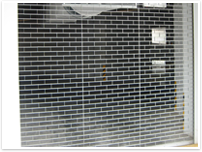 Grille shutters are primarily made up of metal core surrounded by aluminium round bars and aluminium flat bars. The furnishing of aluminium shutters is Natural Anodize (N.A). For a higher end look wild brown option can be made. The thickness of the aluminium flat bar is 3.0mm and the round bar 1.0mm. 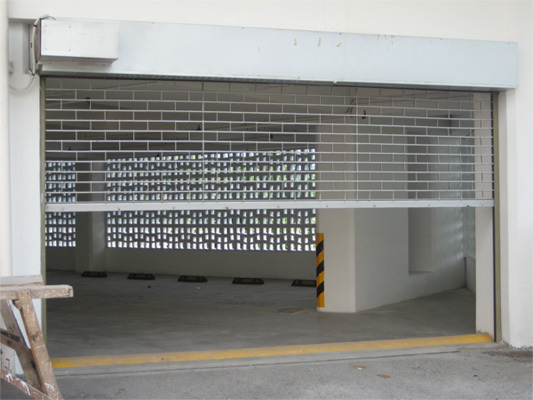 The maximum size of grille shutter is 9,000mm(width) x 5,000mm(height). The motor used will be single phase only. For manual shutters, the maximum size is 3,600mm(width) x 3,000mm(height). For motorized shutters, additional remote control or back up battery can be added.